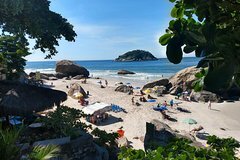 Add some fun and excitement to your Rio de Janeiro vacation with one or more of these exciting Rio de Janeiro travel adventures put together especially for you. With tours in every price range there is something for everyone. Be sure to book ahead to guarantee your spot and avoid being disappointed by sold-out activities and long lines during your vacation. 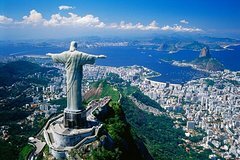 We start with our top ten list made up of the ten most popular Rio de Janeiro tours with a 5-Star average rating. You simply can't go wrong with any of them. 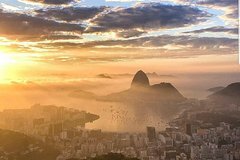 This full-day tour is a personalized and customizable tour that will allow you to experience Rio with just your group and personal guide. Every client is considered a VIP and the tour is executed in an air-conditioned, luxury sedan with up to 4 passengers. 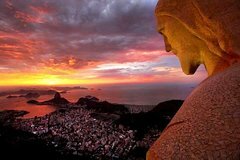 You can visit Sugar Loaf or Christ the Redeemer and see the best of what this wonderful city has to offer. 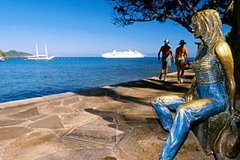 VIP TOUR: An Exclusive experience led by an enthusiastic and knowledgeable licensed tour guide, who will hop-off the vehicle with you at each stop and walk you through the attractions to provide the most complete insights of every attraction. 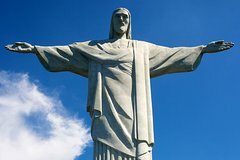 Visit the iconic Christ the Redeemer Statue drive through Tijuca National park on top of Corcovado mountain. 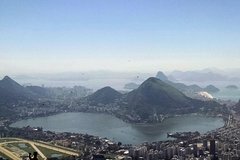 Visit the Sugar Loaf Mountain with cable car and get panoramic views of the city. 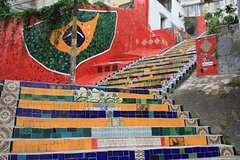 in continuation you will learn more from your Tour guide visiting the Sambadrome, Metropolitan Cathedral and Selaron Stairs.Then feast on Brazilian Steakhouse, included all can you eat buffet with variety specialties to sit down and refuel your energies. 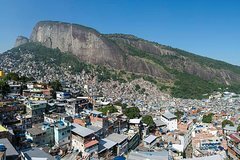 Visiting the Rocinha favela, one of Rio de Janeiro's hundreds of "favelas" (the Brazilian term for a shantytown or slum), is a local experience that gives you the chance to see Brazil from another point of view. 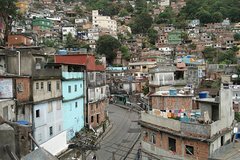 On this tour by Jeep, explore the favela with a guide to observe the routine of this community, meet residents, visit schools, and walk through the alleys and commercial center of the favela, where you can check out a street fair. 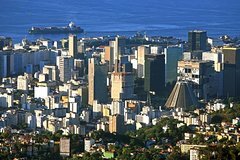 We from Exotic Tours operate exclusively within the beautiful city of Rio de Janeiro where we offer many unique tours. 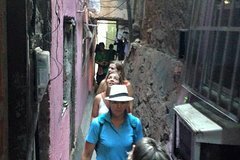 One of our most successful and requested tours is the "Favela Rocinha Tour" (www.favelatourismworkshop.com), a 3-hour tour walking through the largest slum in South America. 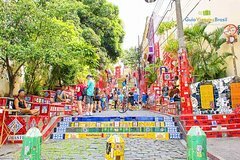 Visitors get to see first-hand the lifestyle of this 250,000-inhabitant community with its schools, churches, local commerce with 1250 businesses in operation, handcraft shops, and the real lifestyle inside the favela.. 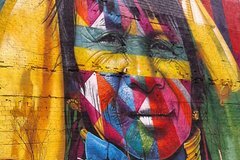 It is a perfectly safe tour and the community welcomes visitors as the tour gives opportunity for the locals working as a guide, who have had the opportunity to have studied in the social project created by Rejane Reis, in the community, since 1998. 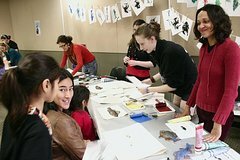 I Have been working as an art educator for 18 years, leading art workshops in Brasil and abroad for different age groups and cultural programs. 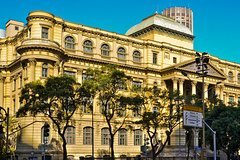 I was born in Rio de Janeiro, a city of approximately six million people, with a pluralistic cultural scene, history, architecture and music.In 1994, I entered Universidade Federal do Rio de Janeiro as a history major and in 2012 I enrolled in the Universidade Federal of Espirito Santo (UFES) in the Visual Arts and Art Education Program.In 2008 I entered University of Oregon in the US for my MA in Arts Management. 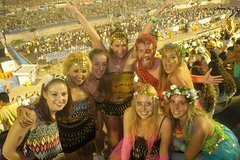 Nothing else in the world compares to Carnival in Brazil. 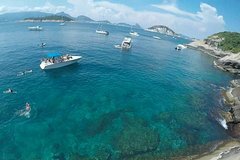 Experience the great Rio de Janeiro on this 4-Day Carnival immersion! 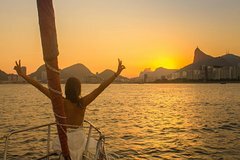 Party at the best Blocos in Rio with fun local guides, experience the energy of Carnival Parade in the Sambadrome, take in beautiful views on a boat cruise through Guanabara Bay, and capture the magical vibes in Rio. 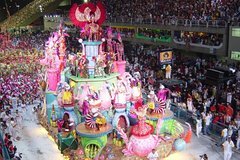 Nothing else in the world compares to Carnival in Brazil... see for yourself! 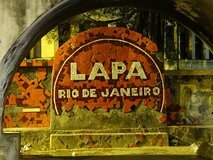 Join us in this 6-day tour and experience the great Rio de Janeiro Carnival. 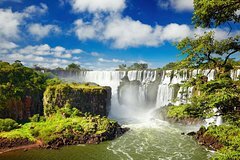 Discover the best of South America Live and experience the jewels of Brazil, Argentina & Uruguay on this enthralling 16-day tour which will take you to the main sights in Brazil, Argentina & Uruguay including the two main cities of Rio de Janeiro and Buenos Aires. 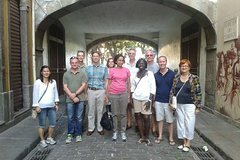 Your tour includes accommodation and a professional guides. 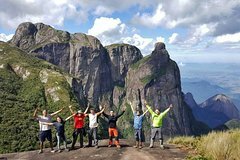 The Petrópolis x Teresópolis Trekking is the most popular expedition and many say the most beautifull Brazil trekkig expedition at Serra dos Órgãos Mountains, Rio de Janeiro.It is located in the National Park of Serra dos Órgãos amid the exuberance of the Atlantic Forest. 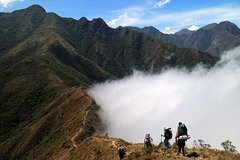 With many climbs and steep descents it is considered the most beautifull hike of Brazil. 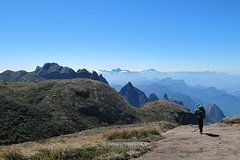 Connects the cities of Petropolis and Teresopolis, mountainous region of Rio de Janeiro, and is usually held in 03 days, about 32 km of wonderfull trekking.Our activit will begin at Rio de Janeiro city with a Pick-up at your hotel and a expedition briefing, and will end 3 days after with drop off at your Hotel after the most beautifull Brazilian Trek! Meals, tickets, transfers, tents, included. 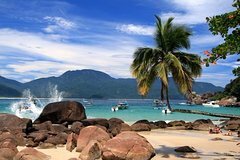 The Ilha Grande 360º Trekking Expedition is one of the most beautiful beach trekking experiences in Brazil. 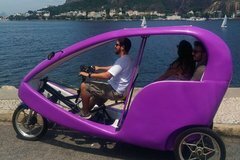 Starting ad finishing at Rio de Janeiro city is a must for adventure traveleres. 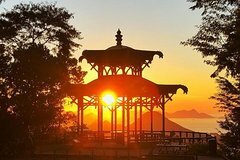 In this 6 to 9 day travel experience, you'll hike a distance of approximately 70 km after departing in a 2-hour transfer from Rio de Janeiro to the island. 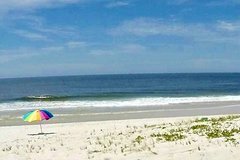 It's the perfect mix between beach, nature and culture! 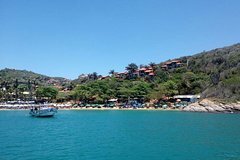 Get to know the fishermen communities also known as "caiçaras" villages, all belonging to the famous municipality of Angra dos Reis.You will have direct contact with residents and have meals in their small pensions. 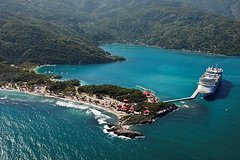 You will also overnight in these small villages, where men and nature found balance. 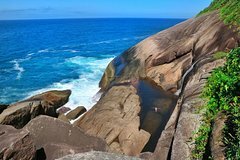 Trekking Ilha Grande 360º is performed throughout trails, constant mountain ascents and descents, rivers crossing and beaches of paradisiacal scenery. 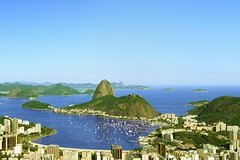 The 2-Day Tour of Rio de Janeiro will amaze you not only with the natural and cultural attractions, but also the beaches and islands of the Wonderful City. 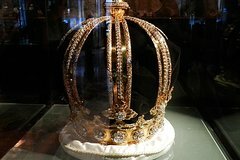 All these places are internationally recognized for their beauty and history. 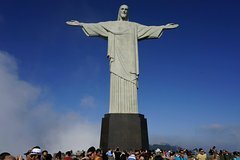 The tours are accompanied by an experienced and bilingual guide (all with Cadastur) The Tour includes the following activities: Full Day Complete City Tour of Rio de Janeiro, which includes the visits of the Corcovado, the Cristo Redentor, external visit to Maracanã Stadium, Sambódromo, São Sebastião Cathedral, Sugar Loaf, Beaches and includes Lunch. 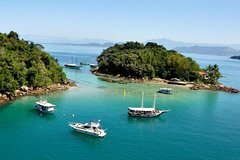 Angra dos Reis and Ilha Grande Day Trip, which will take you to the Lagoa Azul, Araçá Beach, Gipóia Island and includes Lunch on the Island of Gipóia. When thinking of Rio de Janeiro wilderness this is the pinnacle! 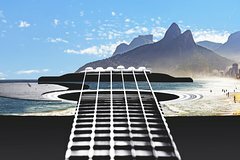 An adventure designed to be the tops in Brazil. Get to know Rio de Janeiro well beyond the carnival and the traditional!For 3 days we'll be crossing one of Brazil's first national parks, the Serra dos Órgãos natural reserve, for many the most beautifull Brasillina crossig, the Petrópolis x Teresópolis Expedition.After that, let's go for 3 more days camping in a place believed to be designed by the gods themselves, the Três Picos natural reserve at the God's Valley, for many the "Brazilian Yosemite" experience for its topographical formation. 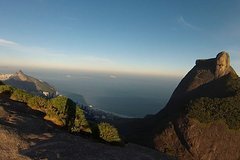 We'll camp at one of the most beautiful camp sites on the park in order to hike several small course trails to the summits around.Our Trekking Expedition begins and finish at you hosting at Rio de Janeiro City. The ‘Serra Fina‘ mountain rage is located in the triple border of the states of Minas Gerais, Rio de Janeiro and São Paulo, in Brazil along the Serra da Mantiqueira mountains.The Serra Fina Crossing has one of the largest topographic differences in the Brazilian territory, above 2,000m, and the highest point of the mountain range, Pedra da Mina, is the fourth higher point in Brazil and has a height of 2,798m.Considered one of the most difficult crossings in Brazil, the Serra Fina has fewer water points during the crossing, many hours of walking a day in stretches of great differences and requires high level of endurance and physical exertion.The trekking takes 04 trekking days to be covered, with approximately 32 km.We will start and finish our Adventure in the city of Rio de Janeiro. 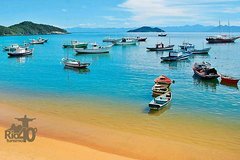 The beautiful small colonial town of Paraty lies 200km south of the coast of Rio de Janeiro in Brazil, one of Brazil’s most appealing destinations. 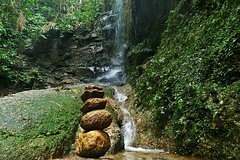 We offer 8-Day trekking program around the peninsulas and beaches, crossing Saco do Mamanguá, the one and only Brazilian Fjord, trekking and kayaking, visiting local fishermen communities and experiencing their food and lifestyle. 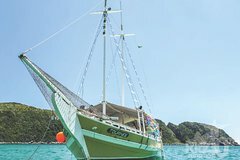 The adventure begins in the indigenous village of Paraty-Mirim, with a steep trail to reach the other side of the mountain, the Fjord's shore. 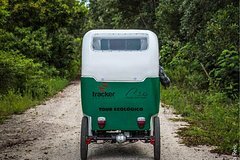 Spend the night in a beach-and-jungle ecolodge to undertake the kaykaing challenge in the morning. During the journey, overnights will be in the fishermen villages. 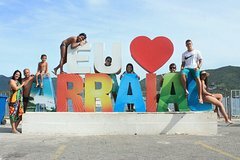 The last day is a free day in Paraty village to get to know its charms. 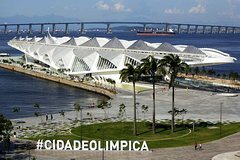 The tour starts at the pier at Urca Neighborhood. 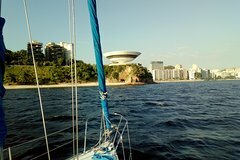 We sail passing close by the Fortress of São José, Fortress Lage, and Fortes Santa Cruz, in the direction to Island of Boa Viagem in Niterói. Them we also pass by the Museum of Contemporary Art and come back with the amazing view of the sunset in the front of the boat. 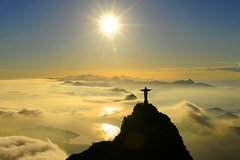 During all the way we have Sugar Loath and Christ the Redeemer in the horizon of the scenery. The Tour finish getting the best of the Sunset.In Total we will have 3 hours of cruise.Also make part of the itinerary one stop to swim at Adão e Eva beach.In the price of the Tour is included a packet of drinks with Fresh made Caipirinhas, Champagne, White Wine, Bier (Heineken and Budweiser) Juice, Coke and Water. the drinks are followed by snacks and finger foods that combine as the perfect way.We receive a maximum of 10 passengers on board, what makes the tour really exclusive. Rio has a privilege of being settled in a magical location surrounded by nature and the jungle.With this tour, you will discover part of the largest urban forest in the world the National Park of Tijuca, after driving to the beginning of the trail we start a short hike (45minutes) to the top of Pedra Bonita peak (693m above the sea level). This peak has one of the most impressive views of whole Rio!After the hike and driving down, we continue to the modern beach district of Barra da Tijuca, this area has a very particular nature with loads of lagoons with mangrove and swampy area home to many fishes and animals, in order to discover that we make use of our boat for a ride between many islands and narrow channels where is the home of two native species in particular the capybara and broad-snouted caiman. 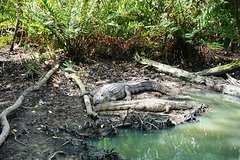 The chance of spotting both of them is very high and a great experience of seeing them in their natural habitat in a big city. 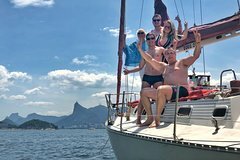 Experience a trip with a sailboat, explore some of the scenic tropical islands on the coast of Angra dos Reis, enjoy a stop to swim and eat with a direct view of the sea.A unique experience with the best of nature that Rio de Janeiro can offer. 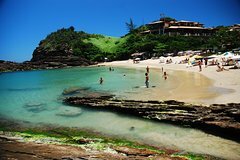 One of the most beautiful areas of Rio de Janeiro's beaches, with transparent waters, Arraial do Cabo hosts a diverse marine life. We have a team prepared to better serve you, we work with support transportation, to accelerate shipments avoiding major delays. Departure from the hotel or apartment, to participate in the samba rehearsals of the Samba Schools of the Rio de Janeiro Special Group, with their live drummers and percussionists, passers-by, samba players, Mestre-Sala and Porta-Bandeira, ward of the Baianas and active participation together with members of the community throughout the rehearsal, dancing and singing. A unique thrill for you to take home. 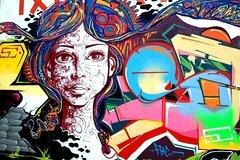 The show Tropical Ginga is the materialization of the master thesis of Rose Oliveira that, in addition to being passionate about national folklore and culture, has acquired personal know-how traveling the world and perceiving market opportunity. 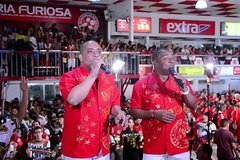 The project has taken shape and for more than five years presents, with gingado, pride and live music, every corner of the country to Brazilians and tourists.The show goes on a tour of Tupinikins, passing through the Festival of Parintins, Lambada, Carimbó, Xaxado, Forró, Frevo, Maculelê, Capoeira, Dance of Orixás, Boleadeiras (RS), Bossa Nova, Samba de Gafieira, the world-famous Carnival and much more!Our artists lend their bodies, with integrity, so that everyone knows the happiness of the Brazilian people, surpassing stereotypes. 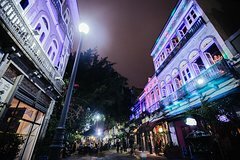 One of the pillars of Rio's nightlife, the Rio Scenarium with its shows, drinks and retro decorations, is one of the historical sites of the famous district of Bohemia da Lapa.Discover Rio Scenarium with your guide, listening to the various Brazilian musical genres and tasting the delights of bartenders.The tour includes a registered guide, lunch at a steakhouse at the free buffet, and transportation with air conditioning. 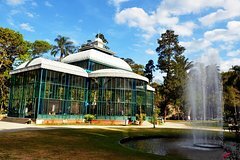 Combine a full-day tour of Rio de Janeiro’s top attractions with an evening of samba at the Ginga Tropical Show! 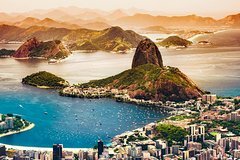 This is the ultimate day out in Rio — enjoy a city tour of downtown attractions like the Metropolitan Cathedral and Cinelandia Square; ride the cable car to the top of Sugar Loaf Mountain and the cog train to the top of Corcovado Mountain; see the statue of Christ the Redeemer; marvel at amazing views of the city; and end your day with a colorful dance performance that celebrates Brazil’s cultural roots. 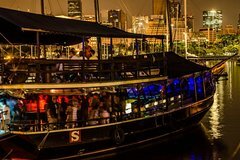 Hotel or port transport, lunch and dinner are included. 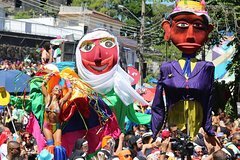 Revel in the all-night excitement of Rio de Janeiro’s annual Carnival (Carnaval) parade, famous throughout Brazil – and the rest of the world – for its energetic samba dancers and flamboyant costumes! 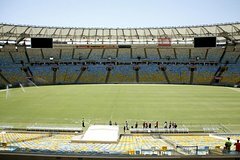 With a ticket to a numbered seat in Sector 9 of the Sambadrome (Sambodromo), you’ll have a great view of the samba schools as they show off their drummers, dancers and enormous parade floats. 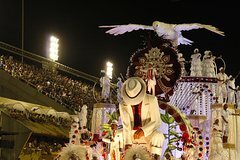 Watch different samba schools compete on one of four nights (your choice), with optional round-trip hotel transport. 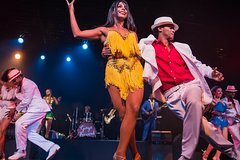 Get acquainted with the origins of the samba and discover the best samba sessions in Rio de Janeiro! 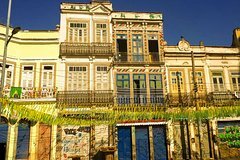 The city is internationally recognized for its carnival and samba, so you can’t leave without discovering the secrets of Rio’s nightlife. 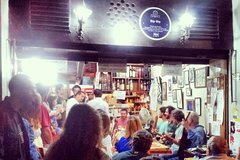 Your private tour guide will show you the coolest little bars and samba sessions that only the true carioca knows about. 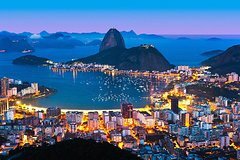 During this nocturnal tour you will visit nightclubs where you will see performances of the Brazilian rhythms. 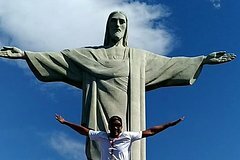 A real experience with Rio’s biggest passion! We offer more formal options as well, with or without dinner. 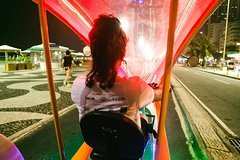 Night tour of Rio de Janeiro, showing less visited spots and typical venues with live music getting to know the informal culture of Rio nightlife.Every evening you will visit two (or more) different places that goes from more simple informal rustic bar, outdoor samba parties to outstanding venues with live music such as samba de raiz, or forró pé de serra where the locals go for dancing and enjoying great music. 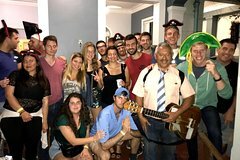 A perfect experience for those looking for real local live music, avoiding the international mainstream night clubs with it’s DJ’s and electronic music. 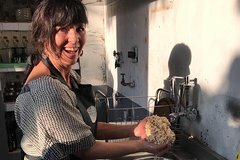 Coming to our cooking classes is a unique opportunity to to learn how to prepare (and eat) delicious, traditional food that also happens to be whole-food, plant-based, and to discover interesting aspects of the history and culture of Brazil. 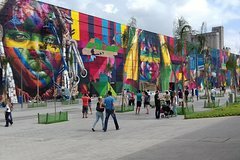 It is also a great opportunity to meet young world travelers and expats living in Brazil and see this country and its amazing rich culture through our eyes.For a start I prepared a short introduction to give you the background of the influences that shaped Brazilian cuisine. We then start by mixing the best Caipirinha you will probably drink in Brazil. After that we start preparing our food. Learn how to make Feijoada and Moqueca, Acarajé and Vatapá, Farofa and other Brazilian delicatessen. At the end we will enjoy our meal in our patio under the Mango tree. 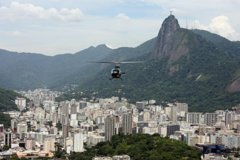 Combine two top Rio de Janeiro tours into one high-flying adventure at a discounted rate with this exciting Super Saver! 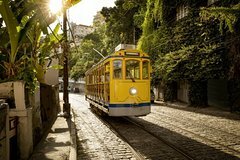 In the morning, go to the top of Sugar Loaf Mountain by cable car to check out expansive views of this picturesque city. Then in the afternoon, get amazing aerial views on a helicopter tour! 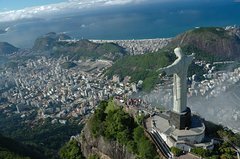 From the ground to mountaintop to air, you’ll enjoy sight of many major Rio sights, from Cinelandia Square and Copacabana Beach to Maracanã Stadium and the statue of Christ the Redeemer on top of Corcovado.